We met with lots current clients (and some future clients too!) during our days at VRMA. Special thanks to our “Ask A Client” participants for letting us show off our work and the testimonials that were offered. Starting with Deep Creek Vacations and the entire Taylor Made Deep Creek Vacations family, we want to thank Chad Taylor & Jodi Taylor Refosco. 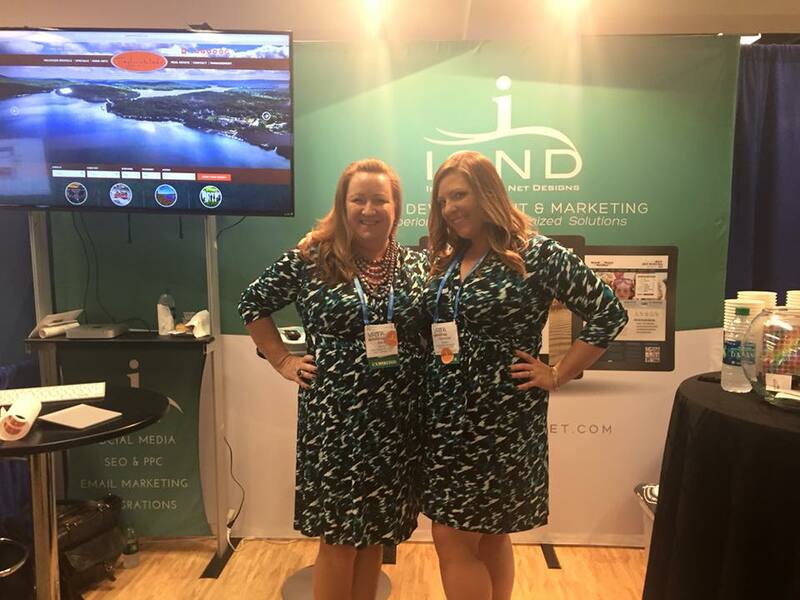 They proudly wore their ICND logo stickers on their name badge all week, telling attendees about the experience they had during the build of their recently redesigned website. Next up for thanks is Mike Flannery, owner of Acme House Co, who took the conference by storm last year in San Diego with his website launch. A year later, Acme House is a digital marketing client who’s looking for even more growth in online bookings and results. Additionally, we’d like to thank Paul Jeris and the team from Put In Bay Ohio for their willingness to wear the badge. The Put In Bay team’s new website for Island Club is in development and slated to launch early next year. Other clients featured included Miller Hawkins from Booe Realty and Tim Cafferty from Outer Banks Blue. When we weren’t rocking it at the booth, Brandon Sauls and I were speaking. During the afternoon sessions on Monday, we presented about high-impact conversion rate optimization tips and tricks. 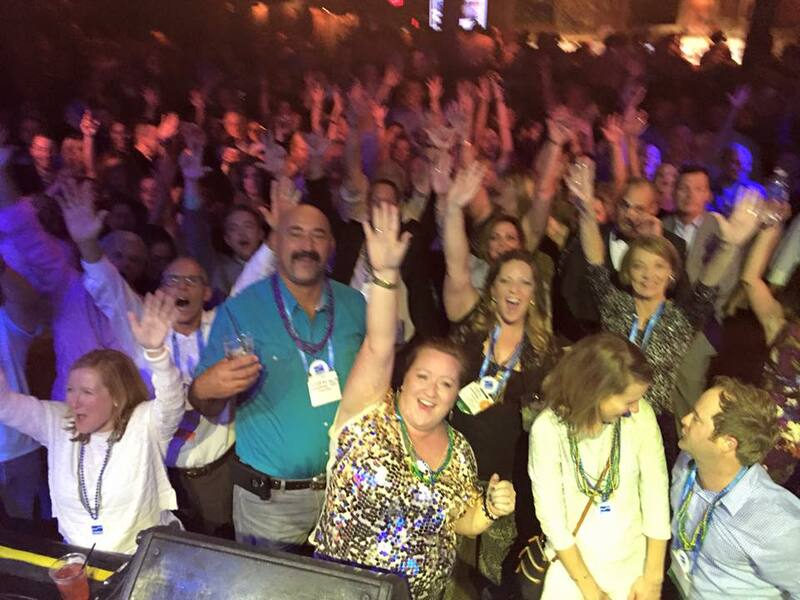 Titled “Think Like The Big Dogs”, we attracted over 115 vacation rental managers to our session! Given the traffic to our presentation download page, it’s safe to say we were proud of the value and information we were able to provide to the VRMs during our session! Okay, there was a lot of business – but there was some fun too. On Monday night, we met with a very dedicated and smart vacation rental team from Big Bear and we had a great time. Starting at Emril’s New Orleans (the swordfish was amazing) and heading over to Bourbon Street and Pat O’Brian’s (the Hurricane’s are no joke), the fun didn’t stop till well after midnight. On Tuesday, the entire team headed over to the House Of Blues to dance and have a good time. Ending the week with dinner and dancing was a great idea, VRMA. Can’t Wait Till Next VRMA! VRMA Eastern is a few months away, but we can’t wait. See you soon, Atlanta.